UCS worked with ADNEC to deliver an innovative new mobile app on both iOS and Android platforms. UCS worked with ADNEC to deliver an innovative new mobile app on both iOS and Android platforms for one of the leading and largest exhibition centers in the Middle East and most famously known for hosting The Abu Dhabi International Petroleum Exhibition & Conference (ADIPEC), and International Defense Exhibition (IDEX). 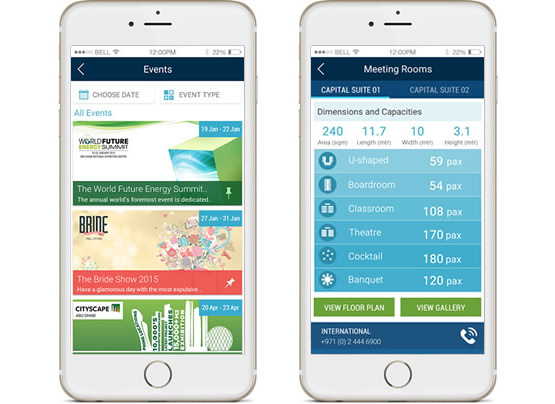 The mobile app was developed to offer information and services for visitors and exhibitors on location, travel, amenities and on-site services.